Travel insurance that provides cover for emergency repatriation in case of a medical emergency is compulsory for all holidays, tours, expeditions and experience days. Nature Expeditions cannot legally provide insurance advice nor confirm whether a given policy is adequate. What we can do is point you in the direction of some insurers from whom teammates have purchased insurance in the past. Further information about insurance requirements is outlined in each expedition’s joining instructions dossier. If in doubt about your purchased or potential policy, contact your supplier directly. Emergency medical repatriation (to home country): including any associated expenses abroad of at least &dollar;500,000. Activities: ensure that any activities carried out on the expedition are included (trekking at altitude, vehicle safari, canyoning, scuba diving, rafting etc). Geographical region: check the place you’re going is insured on your policy (often the USA and Canada or areas such as Afghanistan are not insured on general policies). FCO/Foreign Ministry advice: check your insurance is not sensitive to any travel warnings issued by your foreign ministry. In the UK, many insurers will not provide insurance if the FCO advises against travel. FCO advice does not necessarily mean that Nature Expeditions will cancel an expedition or avoid a certain area. Dates: make sure the period of cover begins at the departure and ends at the return to your home country. Many flights take a day or two and time zones vary. Insurance companies may prejudice claims due to this. Pre-existing medical conditions: disclose to your insurance company. Some insurance companies have a clause regarding ‘recognised routes’, something that is hard to define. If your insurance policy has this clause, speak to your insurers about the trip to ensure the policy you are considering does indeed cover your Nature Expeditions expedition. We would suggest that our routes are recognised for the following reasons, although your insurer or their underwriter will have the ultimate say. Perhaps forward the below on to them when discussing or attempting to ascertain if the policy you are considering indeed covers you. The expedition is run by a UK-based company which has researched, planned and developed the route. The appropriate local support, permissions and permits are in place so it is ‘recognised’ locally. It is mapped and there is a fixed start and finish point. The expedition is led by a professional Nature Expeditions expedition leader. There are detailed contingency, medical and communication plans in place. Also bare in mind that both Campbell Irvine and World Nomads knows Nature Expeditions and our exceptionally high standards. You might want to mention our name when you contact them. Nature Expeditions is a company committed to customer satisfaction and consumer financial protection. We are therefore pleased to announce that, at no extra cost to you, and in accordance with "The Package Travel, Package Tours Regulations 1992" all passengers booking with Nature Expeditions are fully insured for the initial deposit, and subsequently the balance of monies paid as detailed in your booking confirmation form. 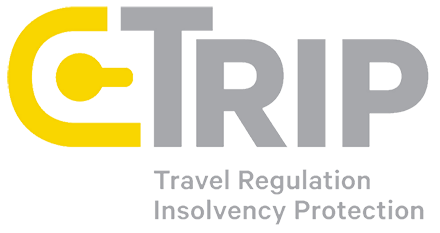 The policy will also include repatriation if required, arising from the cancellation or curtailment of your travel arrangements due to the insolvency of Nature Expeditions. This insurance is only valid for passengers who book and pay Nature Expeditions directly. Claims - In the unlikely event of Insolvency, you must Inform Towergate Chapman Stevens immediately on +44 (0) 1932 334140 or by email at tcs@towergate.co.uk. Please ensure you retain the booking confirmation form as evidence of cover and value.